At a time when fitness bands keep getting cheaper, Fitbit is moving in the opposite direction with its new Fitbit Charge, Charge HR, and Surge fitness trackers. The new Charge trackers trade the existing Fitbit Flex's LED dot readout for actual OLED displays, showing the time of day, steps taken, and Caller ID when paired to a nearby smartphone. The Charge HR also includes a continuous heart rate monitor that provides feedback during exercise and is more accurate for estimating calories burned. The Fitbit Surge is more of an answer to smartwatches, with a square LCD touch screen that displays time of day, steps taken, heart rate, Caller ID, and incoming text messages, and lets users control music playback from a paired smartphone. This is also the first Fitbit tracker with built-in GPS, letting users track their workout route, distance, pace and elevation while leaving their phones at home. Why this matters: With new competition from more capable smartwatches, many fitness band makers have responded with cheaper models, or have shifted away from hardware to focus more on software and services. Oddly enough, this leaves Fitbit in a unique position as a company focused on premium fitness wearables. If you've felt let down by less-capable fitness trackers, but are unimpressed with beefier smartwatches, Fitbit wants to be your hardware maker. Compared to the $100 Fitbit Flex, the Charge has a taller and wider display, allowing it to show time and step count, and it has longer battery life of seven days on a charge. It also has automatic sleep tracking, so users don't have to tell the device when they're going to bed. 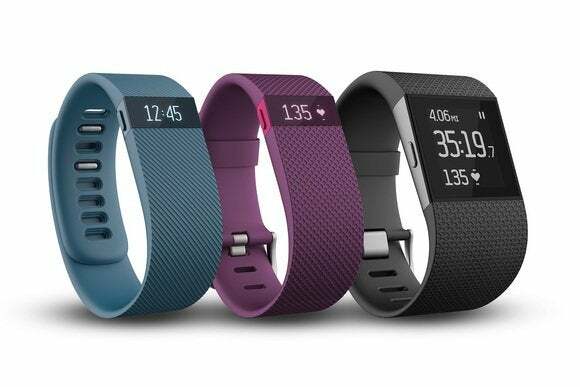 The Fitbit Charge HR adds a heart rate monitor and uses a traditional buckle clasp. The Charge HR will cost $150, and the main difference from the basic Charge is the built-in heart rate monitor. 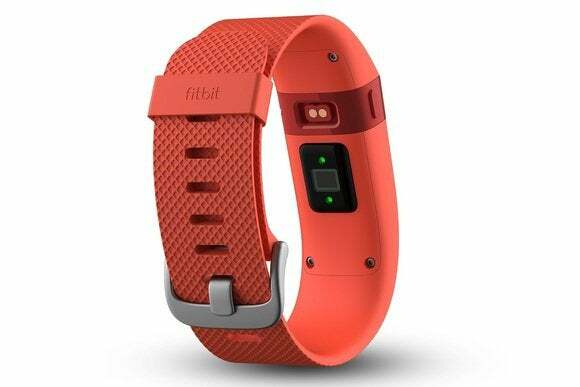 Fitbit is aiming this model at regular exercisers who might want to set target heart rates during workouts, get more accurate calorie burn estimates, and see details on resting heart rate and heart rate trends. The HR also uses a more traditional clasp instead of the Charge's snap-in band, and it gets five days of battery life instead of seven days. Sitting at the top of Fitbit's line up is the $250 Surge, which despite its smartwatch-like appearance is more serious about fitness tracking than any of Fitbit's cheaper models. It has more sensors, including GPS, a gyroscope, and ambient light sensor, and it can tailor its metrics based on the specific workout that the user has done. And although the screen is much larger and more capable than Fitbit's other models, it still lasts up to five days on a charge. 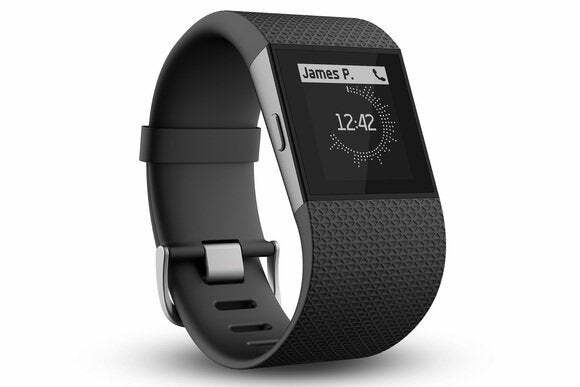 The Fitbit Surge's touch screen allows for caller ID, music controls and more. However, only the Fitbit Charge is launching today. Fitbit says the Charge HR and Surge will launch early next year, but the company hasn't given a specific release date. All three devices will come in three sizes, and can pair with an iPhone, Android phone, or Windows Phone.